C.H.I. 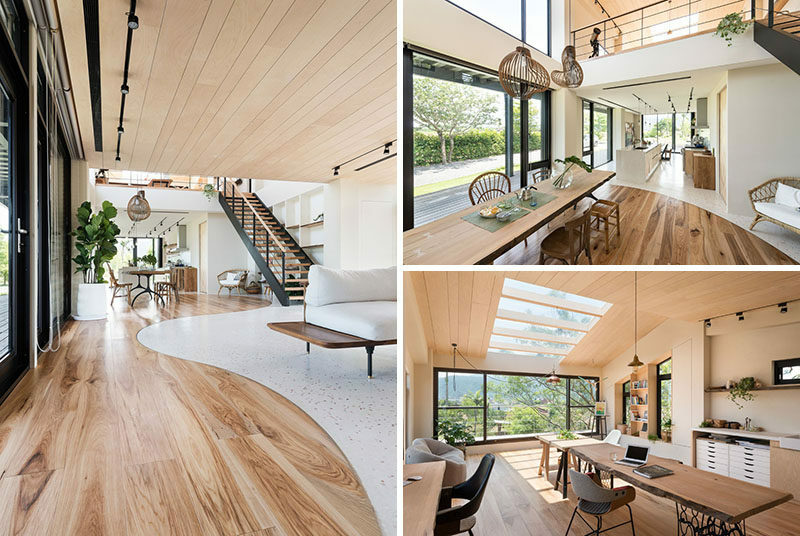 Design Studio have recently completed the warm and contemporary interior of a home that’s located in the center of a farm in Yilan, Taiwan. Stepping inside the house, we see an entryway with open shelving, a closet, and a bench. 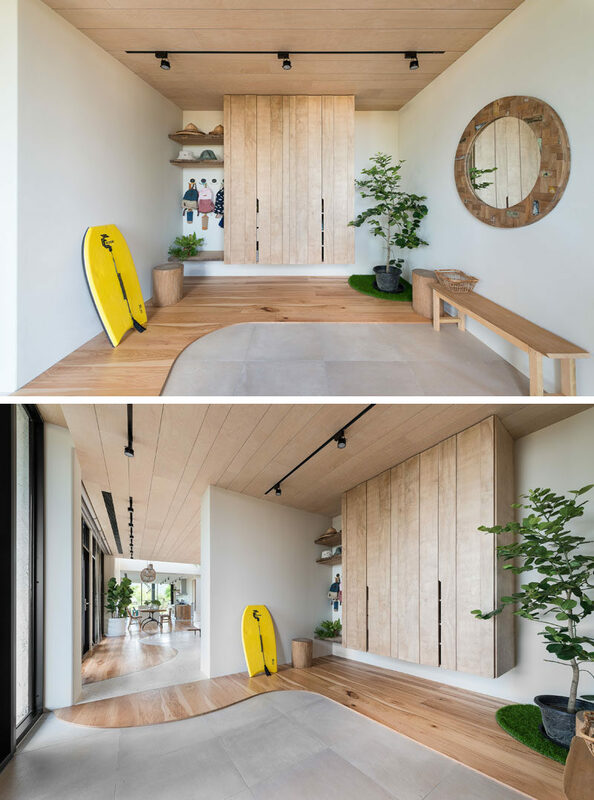 The entryway opens up to the living room, that’s decorated with minimal furniture, and on either side, windows and sliding glass doors add plenty of natural light. Behind the living room is the dining room. 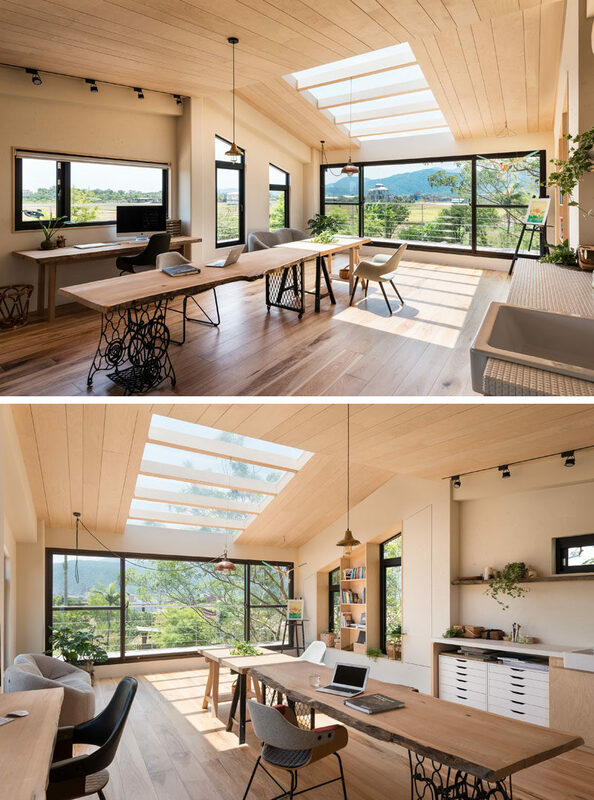 A simple wood dining table is surrounded by different styles of seating, while two pendant lights hang from the high ceiling. Adjacent to the dining room is the kitchen. A long island transforms into a casual dining area, while lower cabinets line the wall and raw edge floating shelves sit above the tile backsplash. 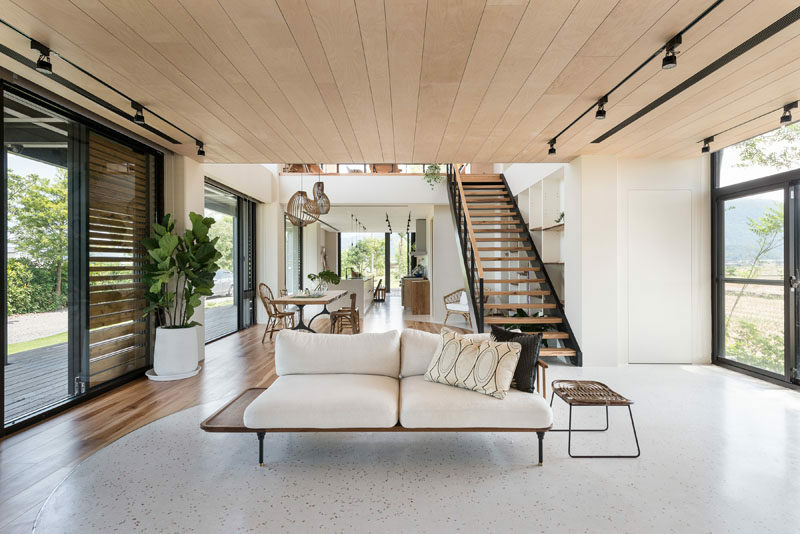 Back by the dining area are steel and wood stairs that lead up to a loft. 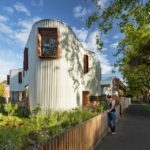 The loft is used as a studio and home office. Plenty of windows provide views of the farmland outside, and skylights provide plenty of natural light. Back downstairs, and on the other side of the living room are stairs that lead to the bedrooms and bathrooms upstairs. The stairs feature a wood-lined handrail that’s been built into the wall. 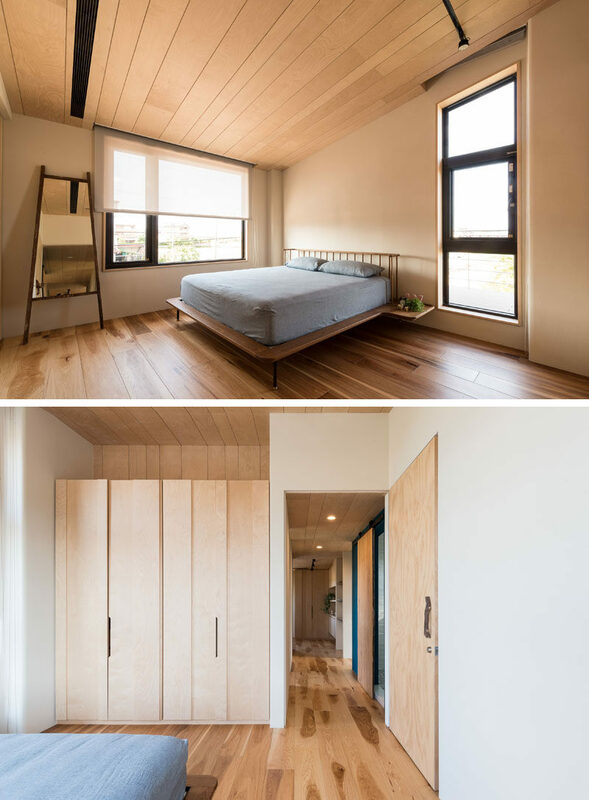 The bedrooms have been kept simple in their design, with wood flooring and neutral colored walls. 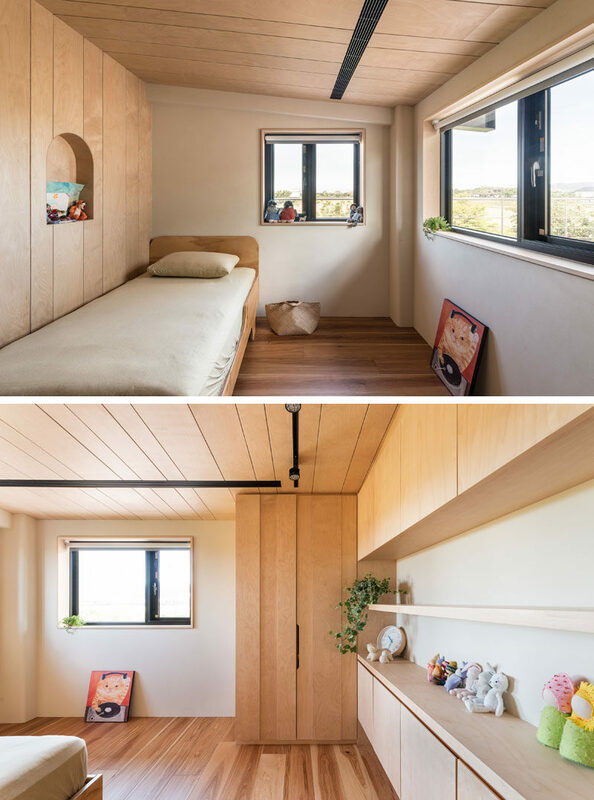 In a child’s bedroom, a small alcove has been cut out from the wall, while built-in wood cabinets and shelving runs along the wall. 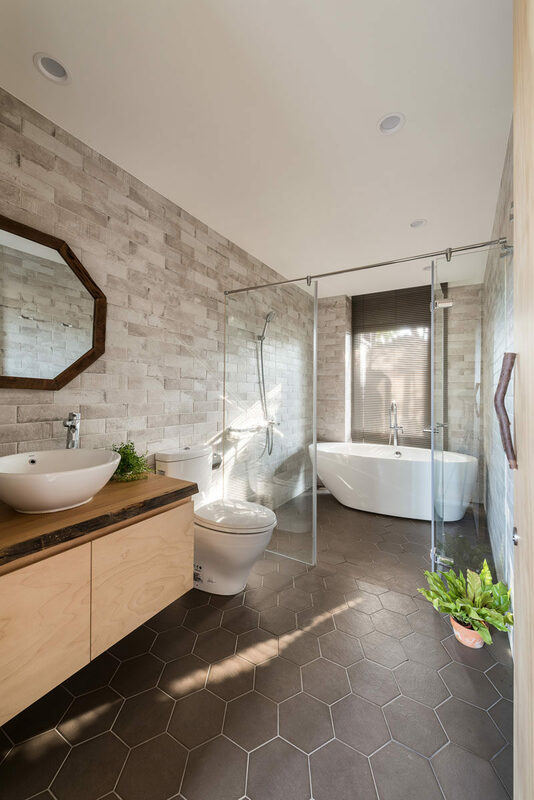 In one of the bathrooms, a glass partition separates the shower and freestanding bath from the toilet and vanity area. 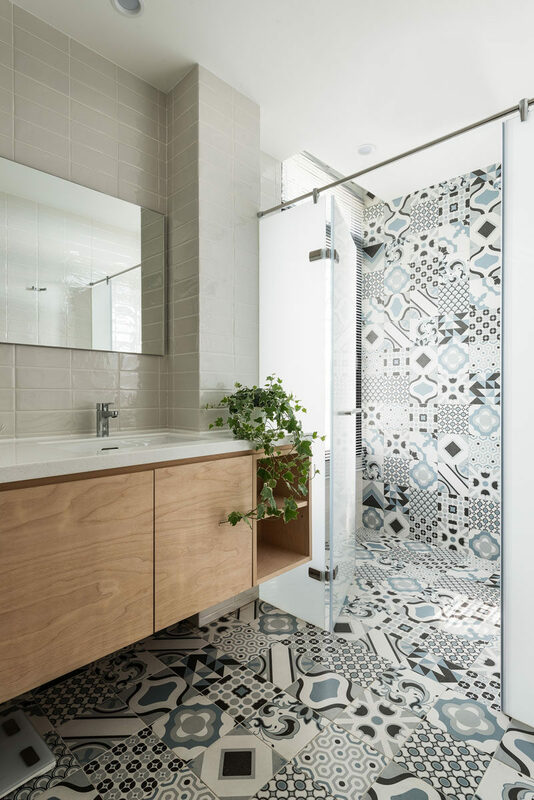 In another bathroom, colorful and patterned tiles have been combined with more neutral grey rectangular tiles for a modern appearance.